Q: Tell us why readers should buy The Curse Giver. 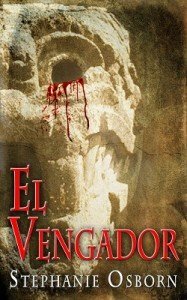 El Vengador (http://www.sff.net/people/steph-osborn/ElVengador.html) is my first deliberate foray into the paranormal and horror genres. I’ve had numerous friends try to convince me to do so in the last few years, but never was able to get hold of the right story idea. So I waited and let it “percolate” in the back of my mind. But when a Facebook friend (who wants to remain anonymous) told me the story of his encounter of a mysterious “Florida Swamp Ape” during his tenure as a deputy sheriff, I was fascinated. And when he gave his permission for me to fictionalize the story, I knew I had found my paranormal horror story. So I took his basic story from his own words and I transformed it. I cleaned it up, couched it in proper writer’s grammar, changed the point of view. I changed the deputy’s name, added the perspective of other civilians who encountered the creature…and then I twisted the knife. Because, you see, I have some Cherokee in me. Oh, the family can’t prove it, not after the way the Cherokee were ejected from their properties during the Trail of Tears; any Native American who could pass as white in those days, did, and all records of their heritage were lost. But because I have several distinctive genetic expressions of that heritage, I am accepted by most elders I know as Cherokee. And my curiosity being what it is, along with my sincerity in wanting to know, I’ve been taught numerous things that most people don’t generally know. Like the fact that the Cherokee (along with the Seminole and the Iroquois Confederacy, among others) are purported to have been offshoots – colonies, if you will – of the Maya peoples. It’s interesting to note that, just as the “Cherokee” are a group of tribes [Cherokee, Choctaw, Chickasaw, etc. ], the Seminole are a group of tribes [Seminole, Creek, Miccosukee, etc. ], the Iroquois Confederacy are a group of tribes [Mohawk, Onondaga, Oneida, Seneca, Cayuga, and later Tuscarora] ― so too are the Maya really a collection of tribes [Yucatec, Tzotzil, Tzeltal, Ch’ol, Kekchi, Mopan, and more]! The Maya comprised, and still comprise (oh yes, they’re still around ― they were laughing their butts off at the white fear of the “end” of their repeating calendar), more than 25 different peoples. The notion of splinter groups of this huge nation (it covered a substantial portion of Central America, butted up against the Aztec/Olmec empire, and expanded out into the Caribbean) moving up into Florida, then up the East Coast of North America, isn’t hard to believe at all. It’s also true ― as I mentioned in the story ― that the medicine people and elders hold that the Maya, in turn, came from some place across the Great Sea to the East. Depending on who you talk to, this means we/they originated in Ancient Egypt, Phoenicia, Greece, the Biblical traders of Tarshish, or even Atlantis! So it seemed to me that it would put a fun spin on things if I had this swamp ape, this mysterious unknown creature, be something other than pure animal. As it turned out, my research into the Maya turned up a mysterious “Howler Monkey God,” Hun-Batz, and an entire mythology in which this god was set. Monkey = simian, and ape = simian, so it wasn’t a huge jump for me to proposing a curse invoking the Son of Hun-Batz. And suddenly the whole thing congealed into this amazing, suspenseful, paranormal horror story. How amazing and suspenseful? Well, let’s just say I literally creeped myself out. I’m a night owl, prone to insomnia and getting up in the night to putter around until I can fall back asleep. And I immediately discovered that I didn’t enjoy that anymore; I had a constant feeling that there might be something outside, in the yard, in the dark, watching through the windows and doors. When I did go back to bed, it was only to have lucid nightmares about the creature and the events in the book! I took to closing the curtains and blinds, avoiding the windows at night. Finally I gave up writing on the story after sundown, choosing to write only in the light, and hoping to get the imagery out of my head by bedtime. I was more or less successful in that. I find that I still do better not to think about the book at night, and I still have the blinds and curtains closed at night. But our neighborhood is well lit with street lights, and the birds cluster in the trees around the house and sing cheerfully. So I know there’s nothing out there that they think is unusual. And that is comforting. I don’t know that I’ll regularly write horror. I’m inclined to think, from my experiences with El Vengador, that I might not be cut out for that! Still and all, much of the science fiction mystery I do write tends to have strong elements of both paranormal and thriller, with the occasional seasoning of horror concepts thrown in for good measure. So I think I can take what I have learned from the experience and fold it back into my other works. And I think they’ll be the better for it. What is it like in the weeks before a book release? Well, it’s a little crazy. 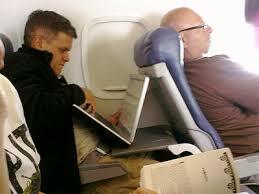 Most people might think that as a book release date approaches, an author’s work begins to wind down. “If the book is already written, why are you so busy?” my friends ask. In fact, an author’s work ramps up as the launch approaches. Time seems to accelerate. Every task grows more urgent with every hour that passes. From an editorial perspective, there are Advanced Reader Copies (ARCs) to review. All those words, paragraphs and chapters present plenty of opportunity for errors. 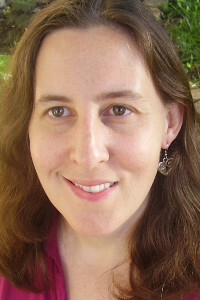 Details must be corrected both in the e-book versions and the print ARCs—things like formatting issues, indents, typos and nits. No matter how many times you scour the text, those diabolical little word gremlins are hard at work defying our best attempts at perfection. You also have the promo coming at you like a fast pitch to the head. A look at my schedule for the summer leaves me breathless and it’s not even July yet! These days, I spend a lot of time talking to the wonderful folks who are organizing the promos for The Curse Giver. Press releases must be written, reviewed and rewritten. Virtual book tours must be organized, rearranged and adapted. Giveaways have to be scheduled. Reviews have to be collected. Guess what? These days, reviews are necessary even before the book comes out. Word out on the street is that each five star-review translates into hundreds of sales. Ah, shucks, then. Add begging for reviews to the list. That’s on top of the interviews, the guest blogs and articles that are piling up on my desk. Don’t get me wrong. I love doing these. They are hard work, especially when you’re doing so many of them. They require a lot of time, because the questions are different and diverse, and I make sure that each interview, blog and article gets my time and full attention. But they are also a great opportunity to get to meet readers, bloggers and reviewers from all over the world, people who are as passionate as I am about fantasy, reading and writing. 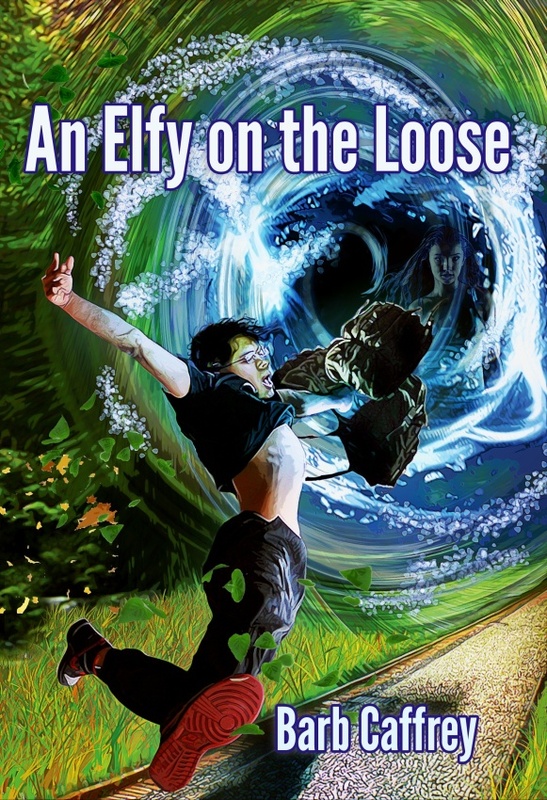 So yeah, it’s crazy hectic over here, but that’s okay—no—better than okay, because The Curse Giver is on the way. 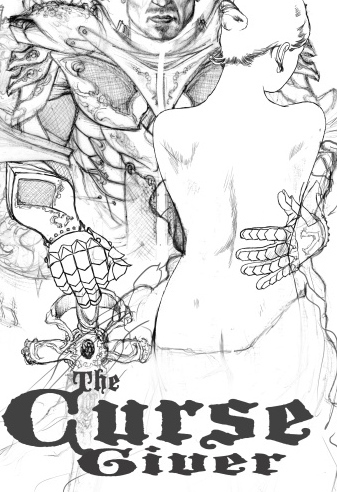 From Sketch to Cover: A short Interview with Brad Fraunfelter, who created The Curse Giver’s cover. Have you ever wondered how an original book cover is created? Well, it’s a work of art, a labor of love that includes brainstorming and research, a fascinating journey. It’s a creative process that involves the transformation of ideas into concepts, the conversion of words into tangible images. It starts with a sketch and it ends with a visual statement. But the best way of understanding the process, is to witness it, as I did in the case of my new novel, The Curse Giver. Take a look at the concept’s evolution. If you click on the pictures, you will see the details coming to life. Brad Fraunfelter, the talented artist who created The Curse Giver‘s stunning cover, agreed to share his perspective with us, answering a few questions about his work and the cover’s creation process. 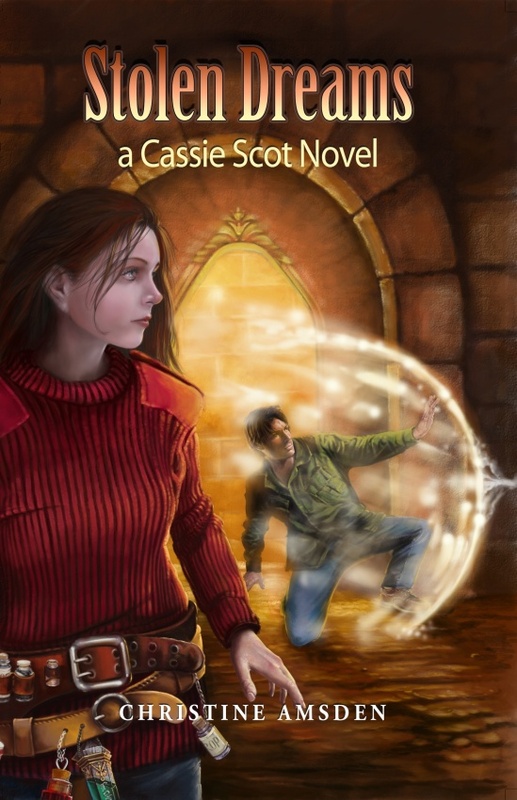 Q: What was your inspiration for The Curse Giver‘s cover? Brad: My inspiration for the cover was drawn closely from the author’s write up’s which I studied carefully. I chose the last idea which was on Dora’s list because I felt it would be visually most interesting. I wanted to show a dramatic contrast between the softness of the skin and dress of the girl, against the harshness of the armor of the man. For this reason I chose a white dress and pale skin for the girl, and dark, jagged armor for the man. Q: How long did it take you from start to finish? Brad: From start to finish, the painting took roughly a month: It involved a lot of preliminary research to study various forms of armor, and to design and sketch all the parts of what he was wearing, including the sword, helmet, and shield. Once I had these problems solved I could start on the painting itself. Q: How did you accomplish such a stunning light effect on the armor? Brad: To achieve the lighting effect on the armor I carefully studied the effects of light and reflections on metal. I also studied a few images of armor that I found on the internet for reference material. I also did several photoshoots of my own to get the placement of the man’s arms and hands correct and to nail the position of the light source. I wanted to achieve the appearance of a “mystical” glow, so as one of the last steps to the painting I brushed in a soft white haze across the highlight areas, such as the girl’s dress. 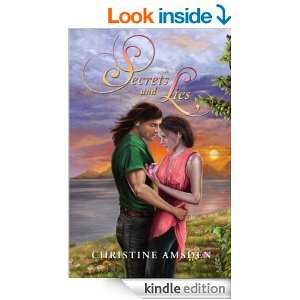 Today I bring you a fantastic guest post by my friend and fellow Twilight Times Books author, multi-award winner and Kindle bestselling author Aaron Lazar, who in a feat of daring, decided to create a rift between one of his favorite characters, Quinn Hollister and his beloved wife Marcella. Now, you must understand, from an author’s point of view, doing something mean to a beloved character takes some guts and a very good reason. Aaron’s Lazar’s reason? Downton Abbey made me do it. Read on and enjoy. D.
Quinn Hollister was born amidst unexpected chaos. I met the protagonist of the Tall Pines Mysteries series when I was laid off from Kodak in 2009 after nearly thirty years of service. I’ll never forget it. The angst. The shock. The feelings of betrayal. And yes, the extra time for writing that was one of the many unexpected blessings associated with the layoff. Quinn and the love of his life, Marcella, her mother, Thelma, and their bird, Ruby, surprised me right around that same time by appearing in a dream. I know, how clichéd can you get? But it’s true. The dream was vivid and enticing, depicting a luxurious bird resort in the Adirondacks, and a little tangerine-red bird named Ruby who snuggled on my shoulder and won my proverbial heart. I’ve never owned a bird. I never knew a bird, aside from those morning doves outside my window. And until this happened, I never thought about birds. 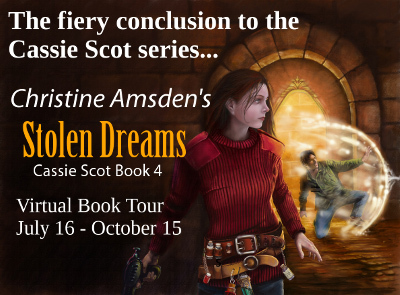 From this bewildering dream the Tall Pines Mystery series developed. 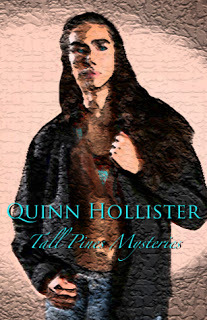 And with it, Quinn Hollister, the bird’s owner and husband of my female protagonist. Life was quite tumultuous at this point, as you can probably imagine, with me constantly on the hunt for engineering work for the day job, but in spite of the trying circumstances of worrying about survival and putting food on the table, I also had some free time to travel locally. My wife and I found a cabin overlooking the Sacandaga River in Hope, New York. 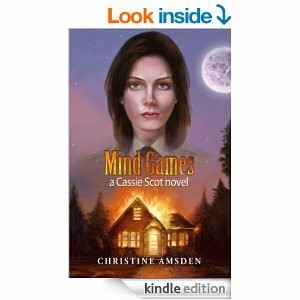 It was inexpensive, relaxing, and a perfect setting for a mystery. We fell in love with the majestic beauty of the area, especially the soft, cleansing waters of the Sacandaga River over which the rustic cabin perches. Quinn evolved slowly. At first he was an OCD Italian name Joe, until a friend pointed out that he resembled a popular TV character in the Monk series. I’d never heard of Monk and rarely watched television, but I didn’t want the world thinking I’d copied his persona. So, I encouraged this character to evolve. Probably because I’d been obsessing lately over my own somewhat distant Native American heritage, Quinn morphed into a tall, serene, half-Seneca antique collector with clear turquoise eyes bequeathed to him by his long-dead English playwright father. Married to Marcella, his wife of eight years, he adores her and manages to drive her nuts at the same time with his borderline case of OCD. This gentle man moves with grace, builds sweat huts, and wears in his glossy black hair long. He swims every morning in Honeoye Lake and likes things evenly spaced and on plan. Piles of magazines must be neatly stacked, forks and knifes should be aligned and parallel, socks need to be neatly separated by color in the drawer, and if a stock pot isn’t clean upon inspection, it will be rewashed without discussion. I’ve grown quite fond of Quinn and his family, and I feel terrible about what I’ve put them through. 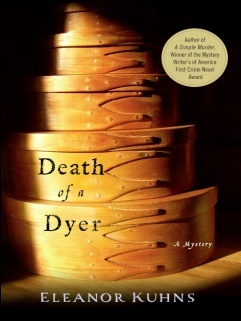 Especially in this last book, MURDER ON THE SACANDAGA (est. 2014/2015 release). Quinn loves Marcella. He’d do anything for her, including putting up with her very annoying mother, Thelma, who lives with them. But there’s one thing he doesn’t like one bit, and that’s Marcella’s long time association with her former lover, Sky Lissoneau. Sky—Marcella’s first sweetheart—proposed to her twenty years ago after her college graduation. Alas, she broke his heart when she lovingly declined, deciding to pursue her operatic singing career in New York City instead of marrying him. Completely devastated, Sky joined the military and eventually went MIA, where for eighteen years friends and family agonized over his safety. In Essentially Yours, book two in the Tall Pines series, life changes in a most surprising way when Sky’s backpack arrives on the doorstep jammed with a mysterious collection of essential oils, a password-protected memory stick, a bag of emeralds, and a book of Shakespeare’s sonnets. After an intense adventure involving an evil drug company and a possible cure for leukemia, Sky shows up. While it’s confusing to Marcella (she still has feelings for him, but loves her husband at the same time), Sky’s return spikes jealousy in Quinn, and ultimately this homecoming causes a great deal of grief and what ends up being a tantalizing trio filled with plenty of sexual tension. Coming back to the subject of my current work in progress, MURDER ON THE SACANDAGA, I really do feel bad about what I did to Quinn in this story. I tore a rift between him and his wife, and almost destroyed their marriage. What’s wrong with me? Why did I allow such conflict between two happily married people? Didn’t they have enough problems with the big evil drug company chasing them all over the mountains, trying to kill them? Frankly, I still blame Downton Abbey, which I have recently claimed made me into a virtual murderer. (You can read about it here if you wish.) I’m afraid being exposed to all kinds of family drama pushed me into a mode I hadn’t yet experienced. Great conflict, high tension, and lovely surprises. Horrible deaths of beloved characters. (Evil chuckle) Did I tell you I loved it? In time, my characters and I both found resolution to our problems. After a year of searching, the perfect day job arrived. I am now happily employed at a small German company. Our Rochester office has four employees and an office dog. How cool is that, right? Aaron Paul Lazar writes to soothe his soul. An award-winning, bestselling Kindle author of three addictive mystery series, Aaron enjoys the Genesee Valley countryside in upstate New York, where his characters embrace life, play with their dogs and grandkids, grow sumptuous gardens, and chase bad guys. Visit his website at http://www.lazarbooks.com and watch for his upcoming Twilight Times Books releases DON’T LET THE WIND CATCH YOU (2013), SANCTUARY (2013), and VIRTUOSO (2014). This is it! The cover for The Curse Giver is ready and I’m very excited to share it with you for the first time. So without further delay, here it is! Seeing the completed cover for the first time was a powerful experience for me. Brad Fraunfelter did an amazing job. It’s a visual punch, an image packed with detail and emotion. I think it’s stunning. Don’t you? 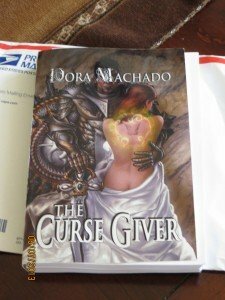 What will The Curse Giver’s Cover look like? Want to take a peek? Book covers are a lot like people: They come in different sizes and colors, interpreting all kinds of diverse concepts and ideas, seeking attention. Selecting a book cover is an important part of the process of putting together a book, because, let’s face it, we all judge a book by its cover. I know I do. Don’t you? The advent of the electronic book took the pressure off cover design, at least for a little while. Many of the original electronic readers weren’t capable of showcasing the cover’s art and many authors and publishers took advantage of that to cut back on cost. After all, original cover art is expensive and in the current book market, everyone is looking for ways to increase those very slim margins. But new electronic readers and tablets are reversing that trend. These newer e-readers are perfectly able to convey the nuances of a well-designed cover, many of them in high definition. 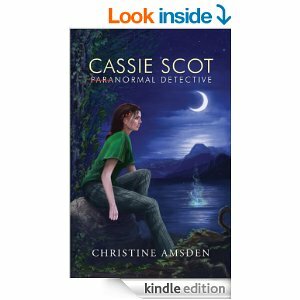 Book covers are back and authors and publishers everywhere understand the need to put out covers that grab the reader’s attention. I want the same for my books. I’ve been very fortunate to work with quality publishers who seek to put together excellent books. In my experience, one of the big advantages of working with independent publishers is that they seek and value the author’s opinions. So I was thrilled when my publisher, Lida Quillen of Twilight Times books asked me for ideas about a cover for The Curse Giver. I got to work on a range of concepts, from simple to complex, from easy to hard. Original cover art is not just pricy; it’s time consuming and labor intensive. Lots of publishers choose to illustrate their covers with stock art because they can save lots of money. So I was delighted when my publisher selected Brad Fraunfelter, http://www.bradfraunfelterillustration.com/, who proposed a very realistic cover with lots of details in a slightly painterly style similar to the art of Donato Giancola. His proposal’s rough sketch was ambitious, following my most complex cover suggestion. It showed a powerful warrior holding a woman whose naked back displayed the faint outline of butterfly wings. At first, I was a little shocked. If you’ve seen my books, you know that none of them showed people on the covers. That’s because I like to respect the reader’s individual imagination. But in his original proposal, the artist didn’t show faces, just bodies. I liked the power I saw in those images. I liked the passion he brought to the proposal. In the next few weeks, Brad Fraunfelter will be completing the cover. It will be very different from my previous books. I don’t know exactly what the end result will look like, but I have no doubt about a couple of things: It will be an original piece of art and it will be a bold statement.